Back in April, I had a small event coming up that I needed some performance tires. 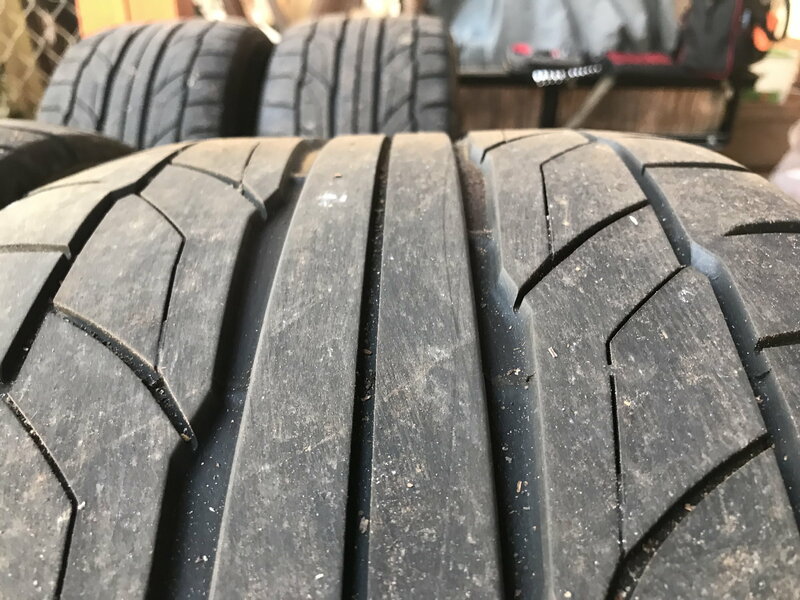 Since the car is also my daily, I didn't have the funds to purchase two sets of tires, one for track, and one for DD, so I had to find a tires that had good performance aspects but still maintained daily drive-ability. 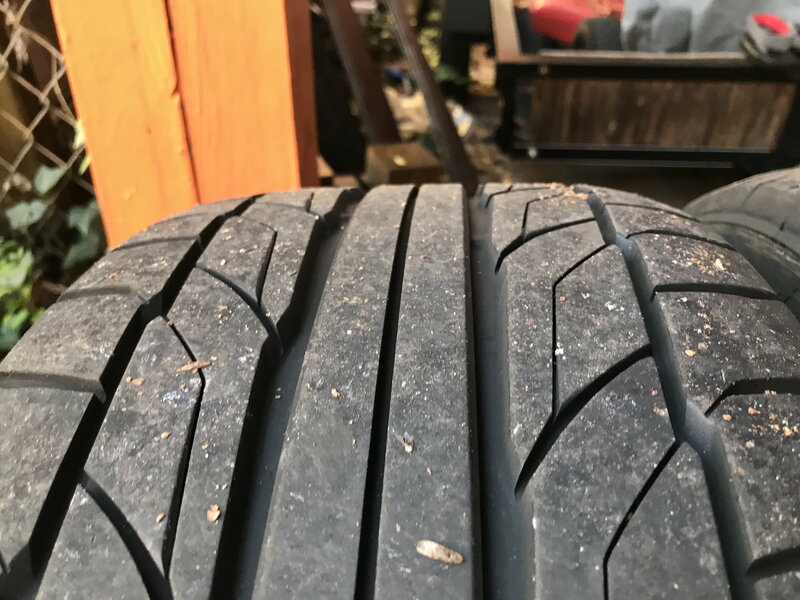 I was mainly looking in the summer ultra/high performance category but willing to look at all season tires. Wet traction must be decent since it rains a lot in Georgia. The size was needed was 245/45R18 front to be mounted on 18x8, and 275/40R18 rear mounted on 18x9. Price: The Firestones were the cheapest at $606 for the set, the BFG Comp 2 were the most expensive at $796. I have heard good things about the Firestones, my roommate had the BFG on his 240sx and did a track day and likes them, the Nittos I haven't heard much about them but know the older generations was really popular with the Mustang community, the Bridgestones were striked from the list as some reviews and because the A/S wasn't going to be as well as the summer tires. I chose the the Nitto NT555 G2 because I ended finding them for a really good deal. Tread Design: I like how the tread looks. its aggressive and has the two channels to help with water evacuation. Shoulder blocks are wide and look strong. Initial Driving impressions: When I first mounted the setup, the tires felt slick. I had about a week before I my event so I had to try to drive as much as I could to break them in. My commute to work (60 miles one way, 120 total) is mostly highway but I sit in a good bit of traffic also. On the highway drive, because the tires felt slick, driving at high speeds (80+ mph) was kind of scary. As the tires broke in, the grip started to increase. Autocross / skid-pad event : During the event, the car handled great, I never oversteered, with a tad bit of understeer. I am the worst at comparisons, but before these NT555 G2, I had a set of Continential DW (255/285) and grip wise it feels about the same, granted I did not do any events with the DW, only spirited driving. The G2 likes some heat so my 2nd and 3rd runs seem to grip better. Current Impressions: At this point, I've ran the tires for 3 months. Grip is still great. Its been raining so much now but I have no problem keeping up with traffic. Traffic flow speed is usually around 80mph, wet or dry around here. Even drive at 80mph in the rain seems stable (no abrupt lane changes or anything, just straight driving and smooth, easy lane changes. ), though if I hit a big enough patch of water it will wander a bit, but that's most tires, especially summer tires. Great review! 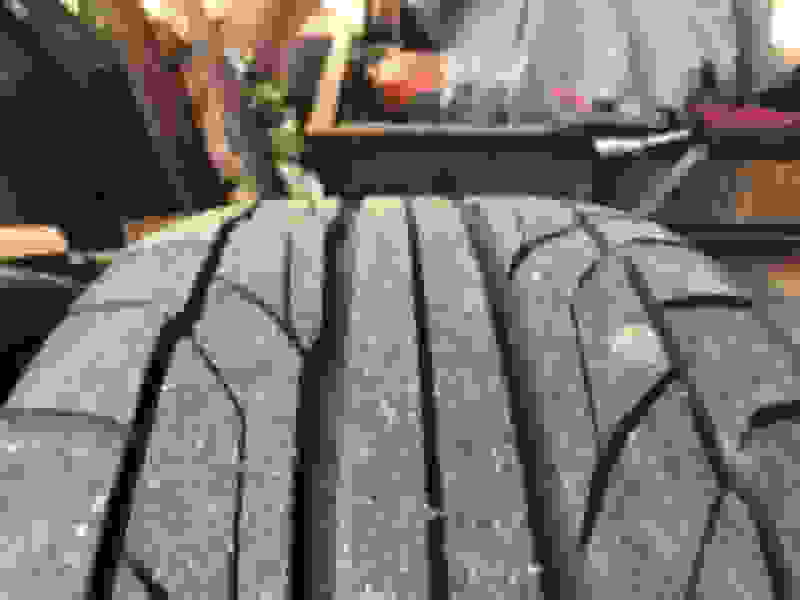 How much were the Nittos? Any idea how these compare to the Michelin Pilot SS or 4S? I picked them up for about $550 through a discount but they are about $700 in my size. I have no experience with the Pilot SS or 4S but from what I hear about them, the 4S should be the better tire of the two. The 4S is also more expensive. Nice review, I had the first generation NT555s on my 20s and they were pretty good for the price paid and have heard they made some solid improvements w/ G2. Sounds like a good choice for your budget and overall driving requirements. Keep us posted on how they wear, and how well they perform over time. It’s been about 8 months and about 17,000 miles or so. I have 120 miles total a day to work and back home. Tread depth is still plenty in the front and the rears aren’t bad either. I didn’t have a tread depth gauge on me for an accurate measure. The tires still grip very well through these cold, rainy days we’ve been having lately. I hate mine. I feel like they have worse performance than my Michelin Pilot Sport A/S+ tires that are on the oem tires. My nittos are the same size as op and I trust them much less than the Michelin tires. They sometimes feel like driving on ice or water or something and they've had plenty of hard driving over 15000 miles. I will say that they are quiet and have worn barely at all. 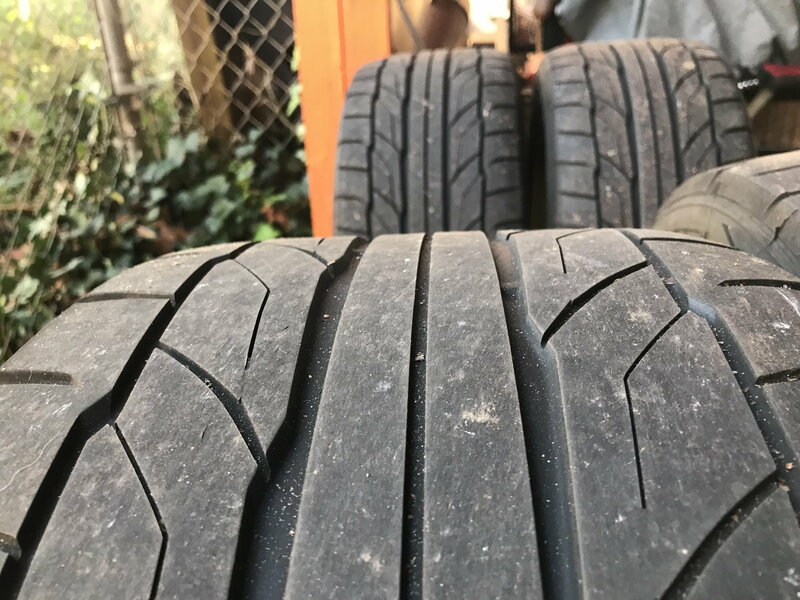 I almost wonder if they are even a summer tire. Ryan, I do read that there’s a lot of mixed reviews to the G2 and it’s always about the grip. Are you you still on the G2 or on something else? I'll be rocking these Panda. Hopefully they are nice, as they are quite pricey (though more affordable than most at the size points I got). I definitely recommend breaking them in real good. they are a bit slippery brand new. What size are you getting these in?